At Hospice of South Louisiana, you’ll find a team of highly-trained medical, psychosocial, and spiritual professionals working together to make sure your loved one receives the highest level of comfort and care. Our team is also here to provide care and support to the family and friends, giving them the relief they need and the professional attention they deserve. But what exactly is the role of a hospice caregiver? A hospice caregiver is dedicated to the patient’s complete well-being and passionate about giving them the fullest in comfort and ease. A caregiver will be part of a skilled medical staff that can help administer medications provided by a doctor to ease the patient’s pain. They’ll also assist in creating dietary plans, help with physical and mental care, and be there as support for daily activities that the patient can no longer accomplish on their own. 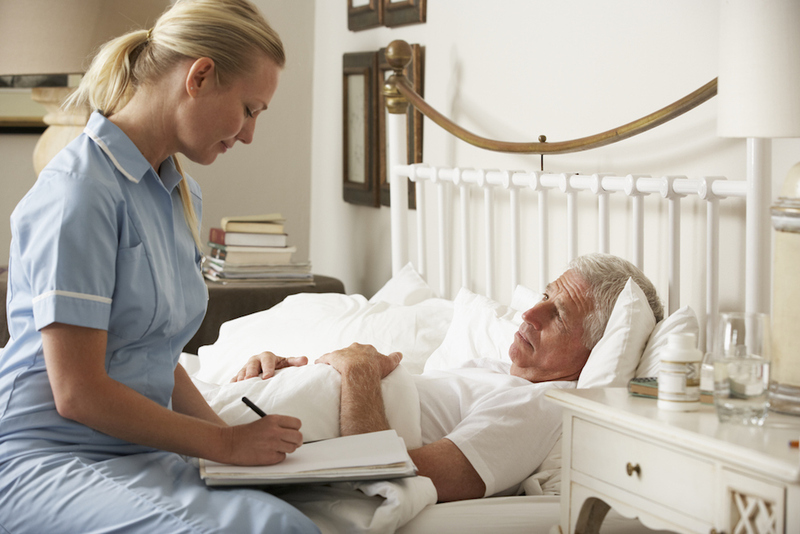 As a caregiver, the focus is to make sure the patient receives the utmost in care and comfort. However, the tasks of everyday life and maintaining a household can place a lot of demand on the patient, with some of these tasks too physically demanding for them to accomplish in their current state. Hospice caregivers are there to assist in everyday domestic tasks. This can include cooking, light cleaning, or running errands. A hospice caregiver works diligently to make sure the patient has the best peace of mind. A hospice caregiver offers a wide range of education and support when it comes to the best self-care practices. They’ll also work with the patient to help them stay as physically, emotionally, and spiritually sound. One of the roles of the hospice caregiver is to help the family and friends of the patient by giving them relief from the day-to-day care. Taking breaks is vital to one’s health, that’s why a hospice caregiver offers respite care, a temporary period of patient care that will allow the family and friends a chance to relax, attend to their own self-care, and focus on their household needs. If the patient or family is in need of emotional or spiritual counseling during this trying time, a hospice caregiver skilled in therapy can provide the right kind of guidance and support. With counseling, caregivers can troubleshoot issues that may be causing problems to the patient’s quality of life, while also providing friends and family with grief and bereavement services. A licensed hospice caregiver will be able to provide medication and assist with the patient’s medical equipment including oxygen tanks, wheelchairs, and hospital beds. Medical care can also include daily bandage changing, taking the patient’s temperature, and monitoring such tests as blood pressure to make sure the patient is comfortable. Dealing with a loved one’s terminal illness can be a harrowing and isolating situation. But you and your loved one will not have to go through this alone. A hospice caregiver will give you the outside support and comfort you both need to make it through this difficult time. A caregiver is there to take the stress and worry off of both your backs and lend you with professional care that will give the patient the most comfort in these last few months. At Hospice of South Louisiana, we work with you to find the perfect hospice caregiver to aid in this time. Give us a call today so we can help you and your loved one get the professional support and care needed.